A 6-day winter break, looking first for Wallcreepers, Lammergeiers and other birds of prey in the pre-Pyrenean Sierra de Guara then the magnificence of thousands of Cranes roosting in the lagoon of Gallocanta. 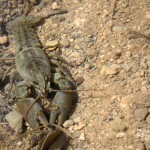 On the second part of the tour we will be based in a rural hotel near Gallocanta, but before reaching the lagoon, we will make a stop in Belchite to look for Sandgrouses, Dupont’s Lark and other specialities. First, we will focus on the Sierra de Guara (one of the quietest regions of Spain) where there are 12 pairs of Lammergeiers. The landscape is a mixture of traditional farming of wheat and almond trees, with Mediterranean forest among impressive canyons. During this first part of the tour, we will be based in the fortress town of Alquézar which was beautify built in the gorge of the Vero river by the moors in the IX century. 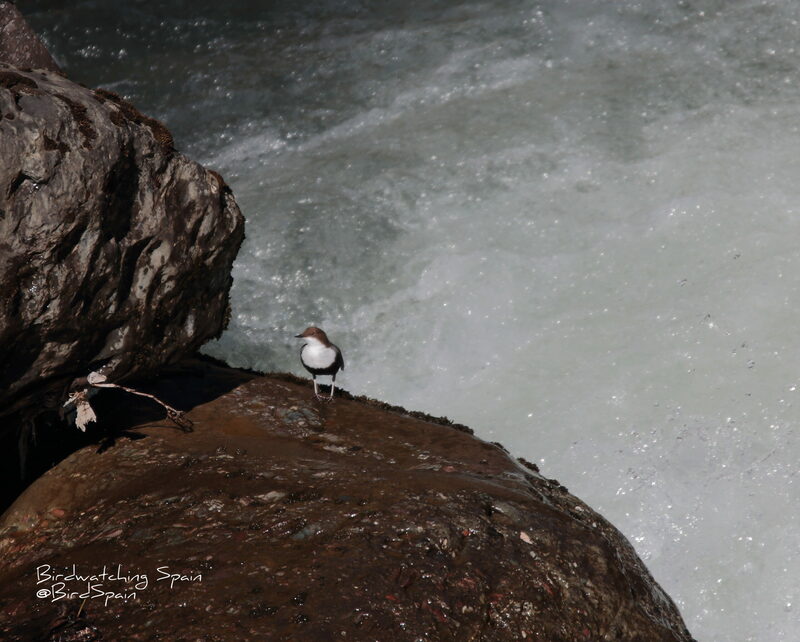 On the second day, we will drive along the river Vero stopping in traditional wintering Wallcreepers spots. Sierra de Guara is probably the most important wintering area for Wallcreepers in all Europe and therefore the easiest place to find them during winter. 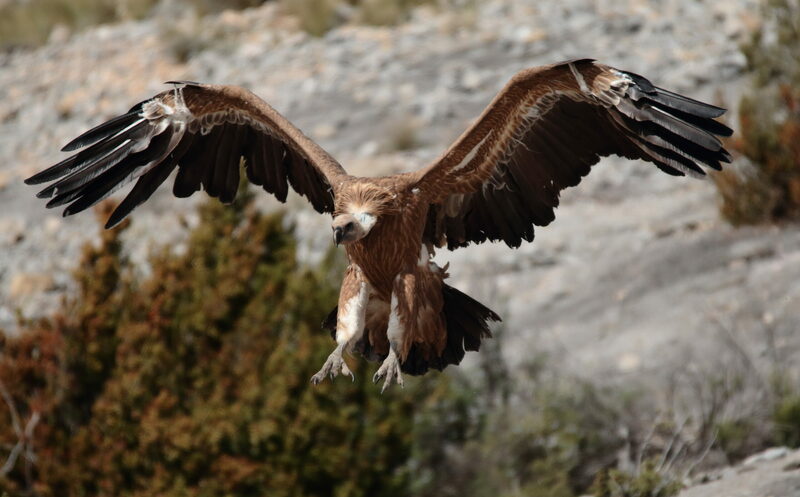 On the third day, we will visit a vultures’ feeding station where we will experience a fantastic eye-level view of Griffon Vultures, less than 2 meters away from them. There are very few places where you can experience views so close like this one. Furthermore, we should see other local species such as Golden Eagle, Egyptian Vulture, Red-billed Chough and even some early migrants: Black Kites or Short-toed Eagles. Other resident birds include Blue-rock Thrush, Crag Martin, Crested Larks, Cirl and Rock Bunting or Dartford Warbler. 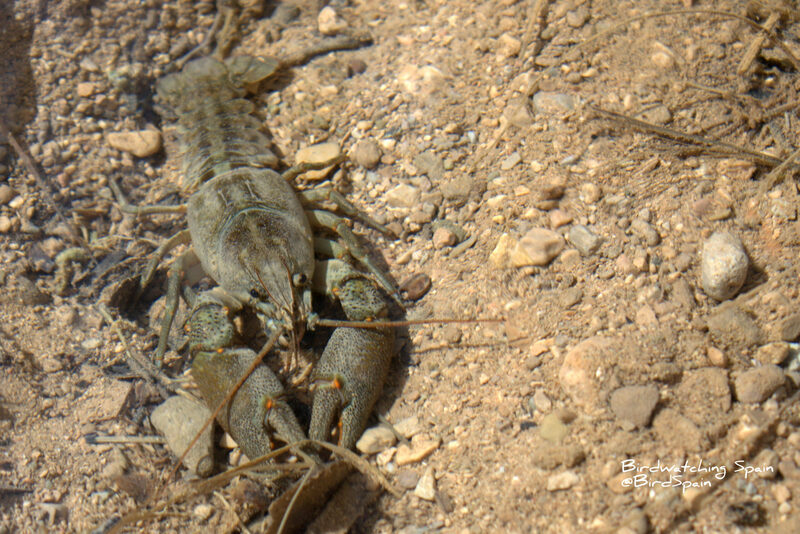 Besides, we will try to spot the endangered European freshwater crayfish, which unfortunately has been wiped out of nearly all Europe. Today we will set off to Gallocanta but first we will stop in the steppes of Belchite searching for Black-bellied and Pin-tailed Sandgrouses, Calandra and Dupont’s Lark and other wildlife in this stunning moon like landscape. We will arrive on time to the lagoon of Gallocanta to witness one of the greatest wonders of Europe, the arrival of thousands of Cranes to roost in the lagoon. On the fifth day, we will drive around the farmland watching Hen Harriers, Red Kites, Short-eared Owl and maybe the resident pair of Golden Eagles. Mammals such as Wild board or Roe deer are also frequently seen. With no more time, we will head off to the airport. 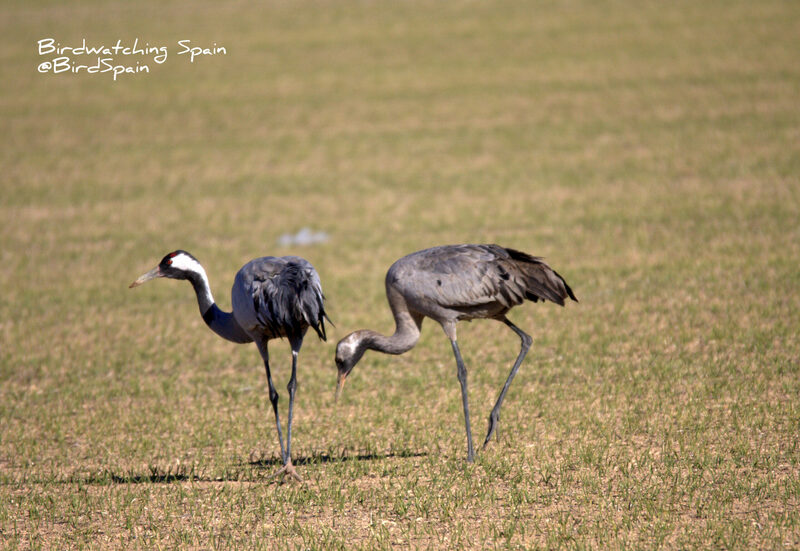 If we have time, we will stop in route to add some more birds to our lists after this amazing tour in an area with real Spanish taste. 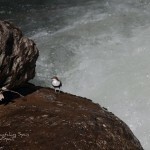 Please find the last trip report April 2015 in the following link. 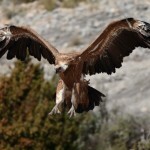 This tour offers a fantastic opportunity to photography close views of Griffon Vultures. – Travel from Valencia or Zaragoza airport in modern, fully seat belted, air conditioned vehicles. – Air fare (Low cost companies operate daily flights to Valencia and Zaragoza from several European airports) London Stansted on a direct Ryanair flight to Zaragoza and Valencia. From Bristol, East Midlands and Manchester there are also direct flight to Valencia.